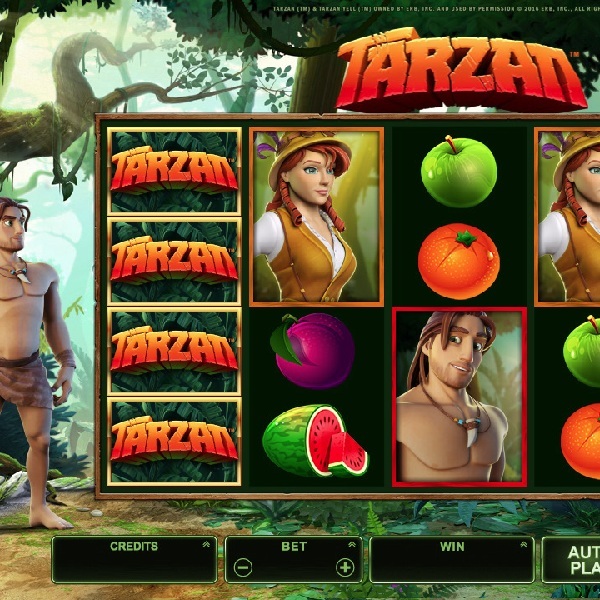 If you like the story of Tarzan, the man raised in the jungle, then take a look at Microgaming’s new slot of the same name. It is a 5 reel slot with 40 fixed paylines and it is set in the jungle with Tarzan standing to the left of the reels. The high value symbols are Tarzan, a girl, a hunter, a leopard, a monkey and a parrot. The Tarzan logo is wild and there is a ‘bonus’ scatter symbol. When three or more scatters land on the reels you spin a Wheel of Fortune to pick from three bonus features. You can win a cash prize, twelve free spins with Rolling Reels (when winning symbols disappear to be replaced by more) and stacked wilds or Pick A Potamus where you choose from twelve hippos to receive multipliers of your total bet.